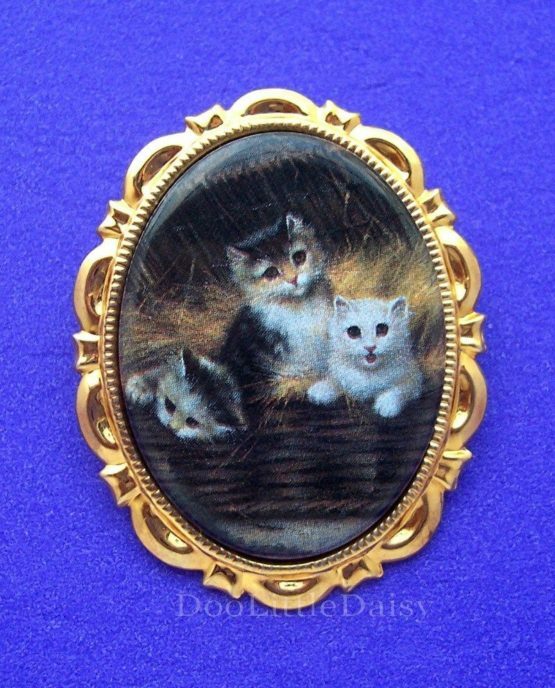 For your consideration to purchase is this “PUUURRR-FECTLY” ADORABLE PORCELAIN “THREE CATS (KITTENS in BASKET of STRAW)” CAMEO BROOCH/PENDANT. This PORCELAIN CAMEO features a DARLING depiction of “THREE CATS or KITTENS (2 calico and 1 white) in a BASKET of STRAW” in a DELIGHTFUL pose. This is such a SWEET and UNIQUE CAMEO! My photo does not do justice to this PRETTY porcelain item. This is an EXPENSIVE CAMEO in the UNSET STAGE and often hard for me to obtain. 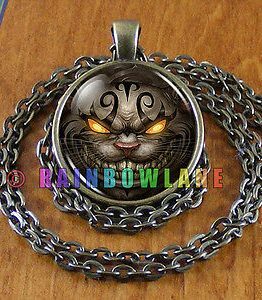 The cameo will remind you of a “watercolor or Pastel painting.” ANYONE, who collects “CAT” themed items, will want to own this unique cameo. This DARLING PORCELAIN CAMEO was made in the U.S.A. (This Porcelain Cameo has been FIRED in a KILN at 1500 degrees for many years of lasting beauty and enjoyment.) The cameo center measures 40mm x 30mm. You will find this PRECIOUS PORCELAIN CAMEO set against a STUNNING BRIGHT GOLDTONE FANCY SCALLOP DESIGNER (very lightweight metal) FRAME. This BRIGHT & SHINY SETTING is a WONDERFUL ACCENT to this UNIQUE CAMEO. 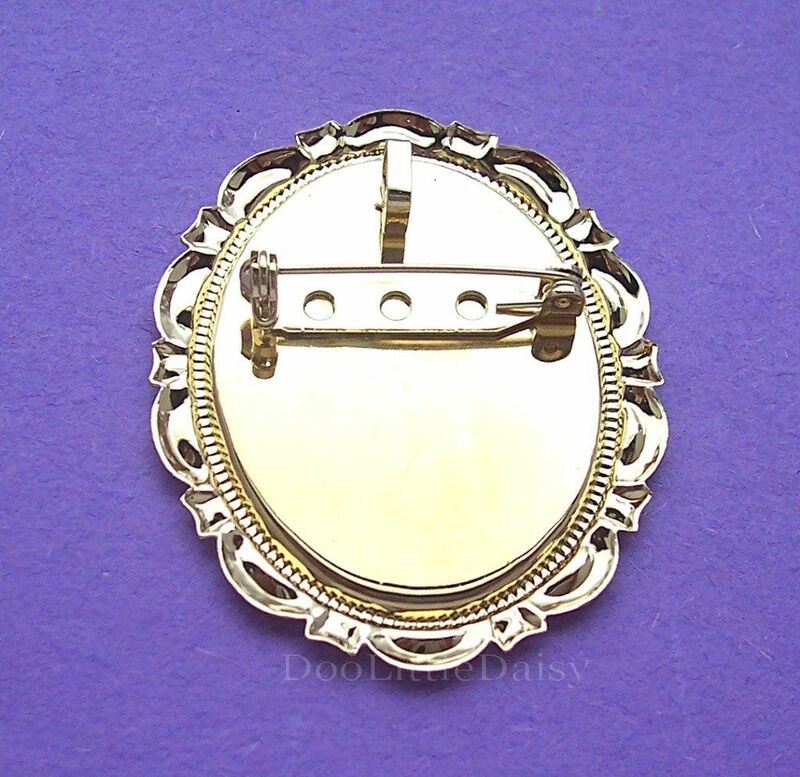 The overall dimensions of this lovely BROOCH/PENDANT are approx. 2 inches x 1 1/2 inches. 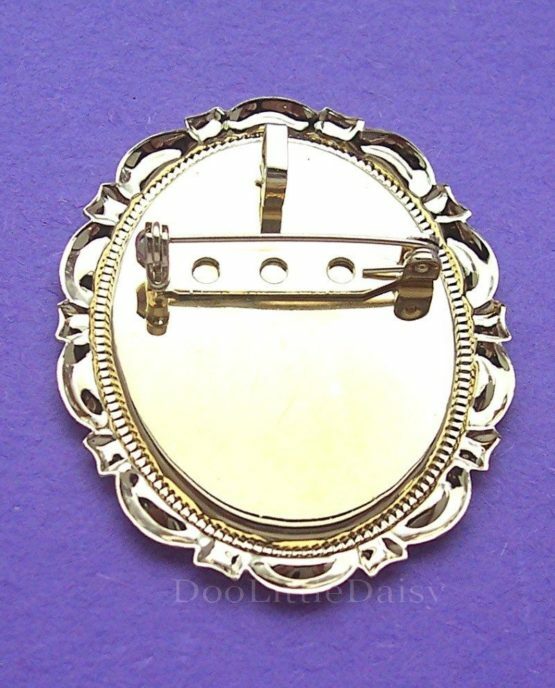 On the BACK of the lovely FRAME, you will find a (welded-on) LOCKING PIN BAR and BAIL for EASY and SAFE wearing of your WONDERFUL CAMEO BROOCH/PENDANT. The BAIL allows you to wear this WONDERFUL CAMEO on your favorite NECKLACE, CHOKER, or SLIDE. (NOTE: SEE PHOTO AT TOP LEFT OF PAGE). Anyone who is a COLLECTOR of these WONDERFUL and SPECIAL PETS will want to have this CAMEO BROOCH/PENDANT in their collection. Collectors of CAMEOS will also want to own this PRETTY piece of costume jewelry. 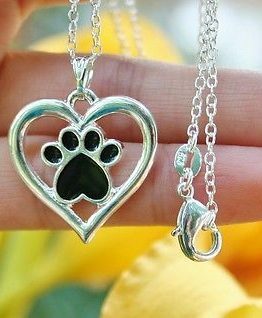 Any FELINE LOVER should adore this sweet cameo. What a WONDERFUL GIFT this PRECIOUS & SWEET CAMEO BROOCH/PENDANT would make for a SPECIAL PERSON in your life. This LOVELY CAMEO comes in a SHINY FOILED (cotton filled) GIFT BOX, ready to give as a “SPECIAL PRESENT” to whomever you choose. Please check out my other auctions to see all the LOVELY JEWELRY ITEMS I have up for bids at this time, including SEVERAL PORCELAIN CAMEOS & LOCKETS. NOTE: Winning Bidder Pays $2.95 shipping and handling fees for USPS FIRST CLASS MAIL which includes a DELIVERY CONFIRMATION FEE, so the package can be traced through the United States Post Office at www.usps.com until it is delivered to you. If you need a breakdown of the shipping cost, please contact me and I will be glad to send you the breakdown of the cost, so that you know I am not out to make profit from the shipping fees. Each additional item mailed in the same package will be only $1.00 extra. I am always happy to COMBINE AUCTIONS on my Jewelry items, to save you cost on shipping fees. If you are bidding on more than ONE of my auctions, please let me know, so that I may send you an ITEMIZED total, when you are finished shopping. This saves you money on your shipping fees, and reduces the added paypal fees, that making separate payments, incurs for me. We’ve been in the jewelry & craft business for over 20 years. Over the past years we’ve traveled to different states and sold “Handmade jewelry and Garments (all items we sell on eBay are assembled by us, if not otherwise stated, and made from both vintage and new parts, as is stated clearly in each auction and please take time to read each auction in full before bidding)” in Craft Fairs & Festivals. About 10 years ago, we decided, we would give selling on eBay a try, in addition to the CRAFT SHOWS we still do during the year (we still do about 20 shows & festivals a year). It’s been a “GREAT EXPERIENCE” for us, and I hope it will be the same for you. We try to mail each and every item purchased, within 3 to 4 business days (if not sooner), after payment is received. “HOLIDAYS” sometimes slows us down a bit, but we still try to be as PROMPT as possible with your packages. We never mail a package without a “DELIVERY CONFIRMATION NUMBER” so you can “TRACK THE ITEM” to it’s drop off site. As for our name, we’re named after our “LITTLE DOG – “DAISY.” THANKS SO MUCH to all of you for making us “WELCOME” on eBay! You can feel free to BID or BUY with confidence by reviewing my over 20,000 POSITIVE FEEDBACKS. PAYMENT METHODS: PAYPAL ONLY accepted. IF YOU ARE NOT SATISTFIED WITH THE ITEM YOU RECEIVE, YOU MAY RETURN IT FOR A “FULL REFUND OF THE PURCHASE PRICE or for an EXCHANGE for an ITEM of EQUAL VALUE.” I do require all items being returned to have INSURANCE on your parcel for “your benefit as well as my own.” (Items need to be put in the return mail to me within 14 days of receiving the item and I need to be contacted letting me know you have mailed the item back to me, in the same original manner the item was mailed to you.) 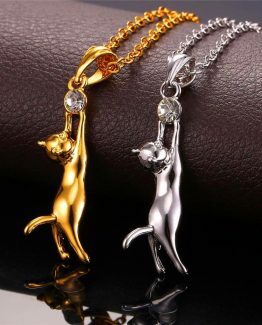 IN THE EVENT YOU ARE NOT HAPPY WITH YOUR PURCHASE, AND I RECEIVE A NEGATIVE OR NEUTRAL FEEDBACK, WITHOUT FIRST BEING CONTACTED AND GIVEN A CHANGE TO RECTIFY THE SITUATION, THE BUSINESS TRANSACTION BETWEEN THE TWO OF US IS CONSIDER FINISHED AND DONE, AND NO REFUNDS OR EXCHANGES WILL BE MADE. PLEASE NOTE: My SHIPPING and HANDLING time of items may vary from auction to auction (and time to time for circumstances beyond my control) as many of you like for me to hold items for you to combine shipping cost for up to 10 days. (An EMAIL to let me know you are waiting for me combine auctions is always appreciated so I will know you need me to hold and combine your items as most other EBAY SELLERS only allow items to be held for up to 3 days.) For U.S. customers, if you have not received your items within 10 days of payment, please contact me. NOTE: The winning bidder is expected to contact me within 3 days of receiving my invoice, and full payment is due within 10 days of Auction’s end, unless other arrangements are made with me in advance. If I am not contacted within 10 days after the auction ends, it will be turned over to eBay as “NON PAYING BIDDER” STATUS, so please do not let this happen. Items may be returned to exchange for an item of comparable value (less shipping & handling fees) so that we both may have a positive transaction, within 14 days of receiving your package. THANK YOU for viewing my item for sale. 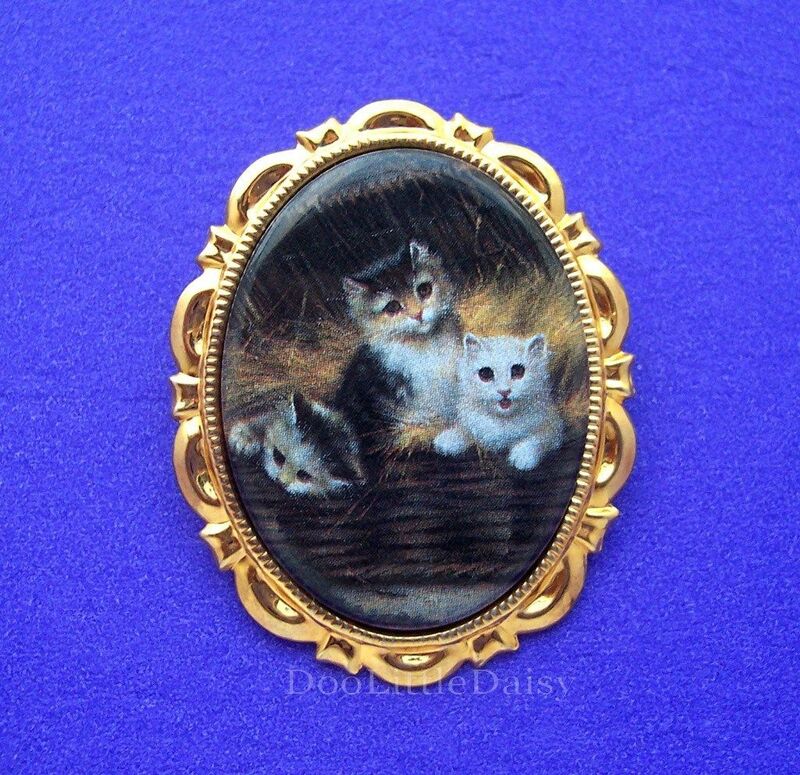 Cute 3 Cats Porcelain Cameo Pin Brooch Pendant. Costume Jewelry Goldtone color Frame.